The value of pre-born life is foundational to Christmas, just as protecting children is an essential of the Gospel Jesus preached. While Christmas celebrations focus on the manger, the miracle of the Incarnation did not happen in Bethlehem. 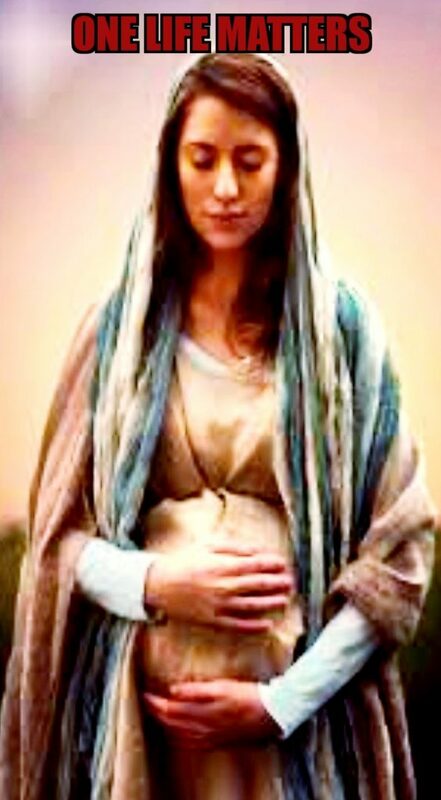 The “Word became flesh” not at the time of the virgin birth, but when Jesus was conceived in Mary’s womb, as heralded by the angel Gabriel. In response to Gabriel’s announcement, Mary hurried to the home of her relative Elizabeth, who was in the midst of her own miraculous pregnancy, as Gabriel had also announced. 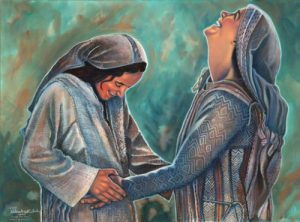 When Mary greeted Elizabeth, the presence of Jesus (deep within Mary’s womb) inspired preborn John the Baptist to leap for joy in Elizabeth’s womb. Through His foundational proclamation that the Gates of Hell would not prevail against His Church, Jesus set the stage for transforming the most repugnant atrocities in Jewish history into a decisive victory against the agenda of Hell. Jesus equated Hell with Gehenna, a notorious place near Jerusalem where innocent children had been sacrificed by being burned. When wicked people plot to destroy the innocent in places like Gehenna, God promises to avenge this innocent blood by catching the wicked in their own traps (Psalm 9:12-16). This is a major theme of stories throughout the Bible, such as Haman being hung upon the pole he made to kill Mordecai in the book of Esther. Gates are often identified as places of judgment in scripture (Deuteronomy 16:18), and Jesus emphasized that those who murder the innocent warrant the judgment of Hell (Matthew 23:23). Jesus considered attacks against children to be particularly heinous (Matthew 18:1-14), so it is no surprise that the early Church made the protection of orphans a high priority, an essential aspect of “pure and undefiled religion” (James 1:27). 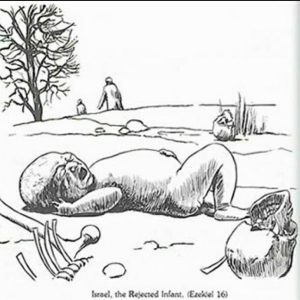 Christianity’s emphasis on the value of children was an extremely counter-cultural concept in the Roman Empire, where newborn children were not considered to be fully human (as some philosophers even asserted that babies were more like plants than human beings). 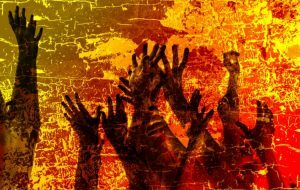 When Jesus promised that the Gates of Hell would not prevail against His Church, how did His first audience interpret His words? The answer to this question has far-reaching implications for those of us who confront the hellish powers of abortion today. Every Christian knows what “grace” means, but does anybody fully comprehend it? I have studied “grace” in depth in recent weeks 1, but the more I study, the more I realize how little I understand the depths of God’s “manifold” 2 (multi-colored) grace. 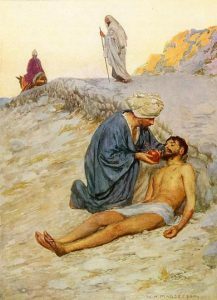 I have long been grieved by witnessing so much destruction and pain springing from a weak, one-dimensional view of “grace,” but I am beginning to see that the true scriptural concept of “grace” itself contains the seeds which bear the potential to end abortion in the church. It’s not unusual for pastors to focus on grace if they mention abortion. Typically, pastors are painfully aware of the fact that hearts of women 3 in their own congregation are experiencing raw pain because they have aborted their children. Being sensitive to the concerns of such hurting women, pastors focus on bringing healing and restoration to those in the congregation who have committed abortion, so pastors preach a message of “grace, not guilt.” But what does grace mean outside the context of guilt, or what does forgiveness mean without repentance? After trying to create the “perfect woman,” plastic surgeon Alex Simopoulos is now focusing on aborting their tiny babies. I was astounded when I learned a few days ago that Bakersfield’s new abortionist is an infamous Beverly Hills plastic surgeon. It just didn’t make sense to me. Why would a successful plastic surgeon (who is in the upper echelon of the medical profession) want to become an abortionist (the opposite extreme)? 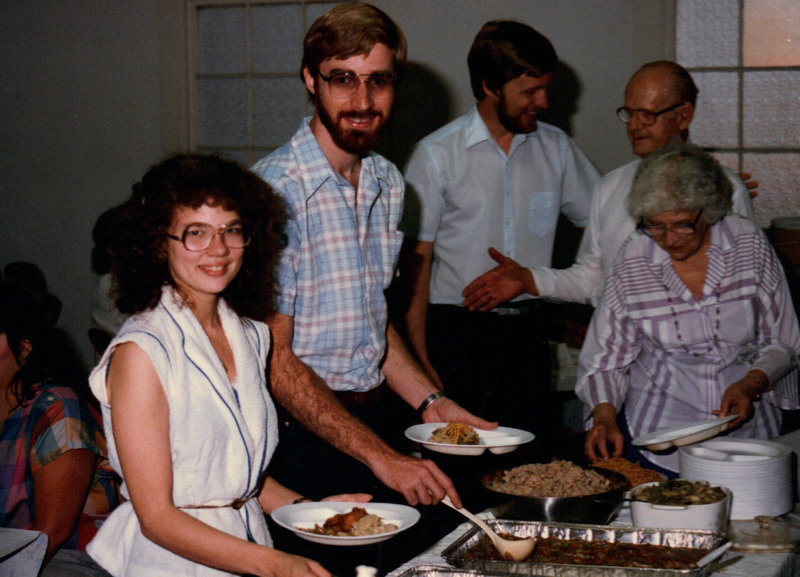 Tim and Terri Palmquist go through the food line at the wedding rehearsal dinner in the church social hall on April 27, 1985. 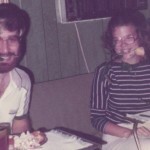 From the beginning of our relationship, we have gravitated toward the simple pleasures of life (especially when we can save money by doing so). Having enjoyed many church potlucks during our premarital years, we decided that our wedding reception (on April 28, 1985) would also be a potluck. Some were shocked at our decision, shuddering “people just don’t do that,” but in the end it proved to be a delicious (and economical) decision. Of course we did have wedding cake for all to share, so we weren’t completely untraditional. So to celebrate our 30th wedding anniversary, we are inviting our friends to join us for a potluck at Jastro Park (located at the corner of Truxtun Avenue and Elm Street, just a couple of blocks east of Oak Street near downtown Bakersfield). It seems appropriate to celebrate our “green” anniversary at a park. With our 30th wedding anniversary coming up next week, we have been reminiscing about some of the ways God brought us together. 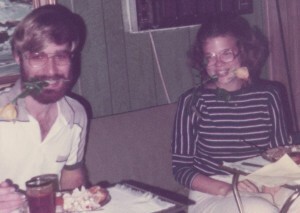 We had countless conversations with each other during over seven years before our wedding, but our collaborations on church and radio projects began to bring us closer together in 1983. 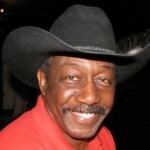 Our friend Tony Lee (a longtime local reporter) asked me a few weeks ago to come on his radio show to share our story. Along with explaining how God led us into pro-life ministry, I had an opportunity to share some of the amazing blessings — and some heartbreaking situations — we have experienced over our decades of ministry. As I told Tony, radio played an essential role in the beginnings of our pro-life ministry efforts. The interview is available at this link, or click the “play” button below.